Most holidays are about relaxing, sitting on a beach and sipping a nice drink. You look at the sea and feel glad you are away from the hustle and bustle of the rat race. For some however, there is another type of trip. When most people are packing their suitcases with lots of shorts, t-shirts and sunglasses, others are folding their race suits, crash helmets and fireproof gloves. Your average traveler is worrying about hire car insurance when a select few are thinking about race car preparation. This may seem strange to many but a lucky few go away to foreign countries to explore their limits on a racetrack, not see how many free drinks they can swipe at an all exclusive bar. There is a new type of holiday in town, one that caters for the needs of speed freaks and petrol heads. You get on a jet, travel to a race circuit of your choosing and spend the hot sunny days honing your driving skills around a new and exciting track. 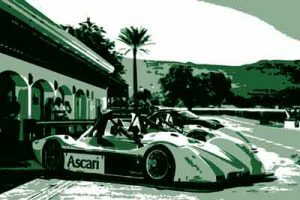 The most famous of these destinations is called the Ascari Race Resort. It was featured on Top Gear. Jeremy Clarkson, Richard Hammond and James May were pounding around the venue in a BMW M3, an Audi S4 and a V8 Mercedes. It all seems too good to be true but for a small fortune (to many of us) you can venture onto the 5.425km FIA compliant race track and enjoy a variety of cars. The wealthy few will have a fleet of hire cars at their disposal. The choice on offer ranges from race prepared Lotus Exiges right up to ex-Formula 1 machinery with full pit crews to aid motorsport dreams. Off track you won’t be disappointed by the lodgings. A 7 Star hotel is situated next to the circuit and caters to every whim. Rich plutocrats arrive with their families in tow, happy in the knowledge the whole gang will be content. You blast around the circuits 25 demanding corners while your wife looks after the baby next to the pool. F1 Ace Fernando was very impressed with the venue and was quoted as saying “unusual, exciting, beautiful” before jetting off to Monaco. For more information about this amazing venue, visit the website and marvel at what’s on offer, and if you are like most of us, shudder at the high prices. I for one need to get saving for this special holiday now.